BATON ROUGE - Police say they've arrested two teenagers responsible for murdering a man who friends and family say left an indelible mark on their community. According to the Baton Rouge Police Department, 20-year-old Charles Bowah was found shot-to-death in the backyard of a home off Eddie Robinson Drive Monday. Police now believe he was shot during a drug deal that took place on Peach Street, about a block away from where he was found dead. Two teens were arrested in connection with his death Wednesday, 17-year-old Devin Harris and 18-year-old Kendrick Wesley. They're both charged with first-degree murder. Harris and Wesley are brothers, according to BRPD. Investigators believe Bowah was selling marijuana to the pair when the deal turned into an armed robbery. Bowah was shot and the two teenagers fled the scene in his vehicle. A candlelight vigil was held for Bowah at the Allstar Wrestling Club Tuesday night. The director of Allstar, Phil Bode, says Bowah had been a regular for about five years. In that time, he placed fourth in a state tournament and went on to become a mentor for teens in the area last year. 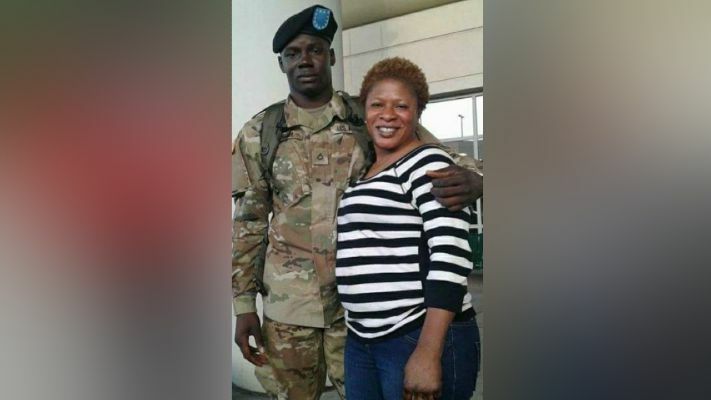 Bode says Bowah had just joined the National Guard in December and was spending much of his free time working with children from St. Michael's and McKinley High. "This is a man who didn't take what he was given and go hide it under a bushel," said Bode, surrounded by dozens of tearful community members. "This man took what he was given and turned around to try and give it to the world." Friends say Bowah left his home early Monday to pay bills and that was the last they heard from him. Police say tips from the community played a vital role in identifying the suspects. The investigation is ongoing.